Launched in Thailand at THB 1,399,000. Honda Thailand has launched the all new 2017 Honda CR-V, which brings a host of new changes. 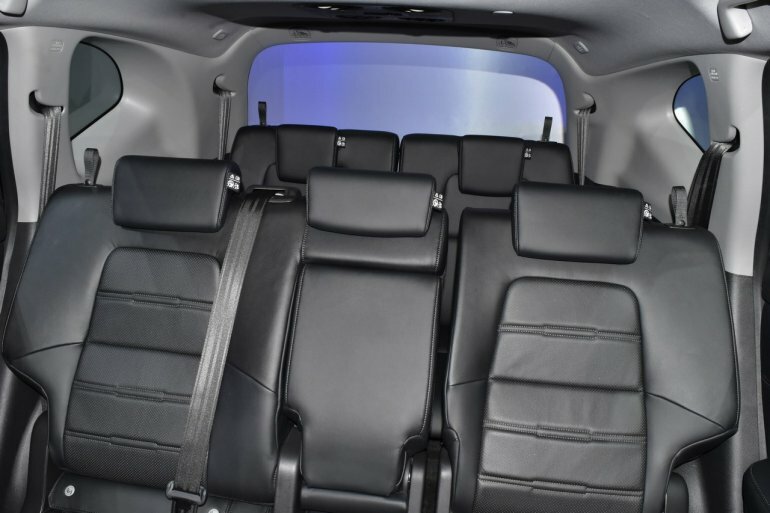 The highlights are the option of third-row seating and a 160 hp 1.6L i-DTEC turbodiesel engine. The Thai-made CR-V 7-seater made its motor show debut at the 2017 Bangkok International Motor Show. The Honda CR-V was launched in both petrol and diesel variants spread across two grades: E and EL, and prices range between THB 1,399,000 to THB 1,699,000 (INR 26.4 Lakhs - INR 32.1 Lakhs). The petrol variant is powered by the familiar 2.4L i-VTEC N/A petrol engine paired with a CVT, which produces 175 hp and 225 Nm of torque. The diesel variant packs the 1.6L i-DTEC turbodiesel engine mated to a 9-speed automatic, delivering 160 hp and 350 Nm of torque. The Thai-spec 2017 Honda CR-V comes with the option of third-row seating for the first time, which is not available in the model sold globally. Also unique to the Thai-made Honda CR-V is the Honda NSX-inspired buttons for the automatic transmission (diesel variant only). It has an all black interior contrasted by silver and wood garnish, a TFT unit similar to the Honda Civic, and the centre console houses a 7-inch touchscreen display with Apple CarPlay and Android Auto. Both driver and front passenger have power adjustable seats. The exterior is more or less identical to the model sold in the U.S. 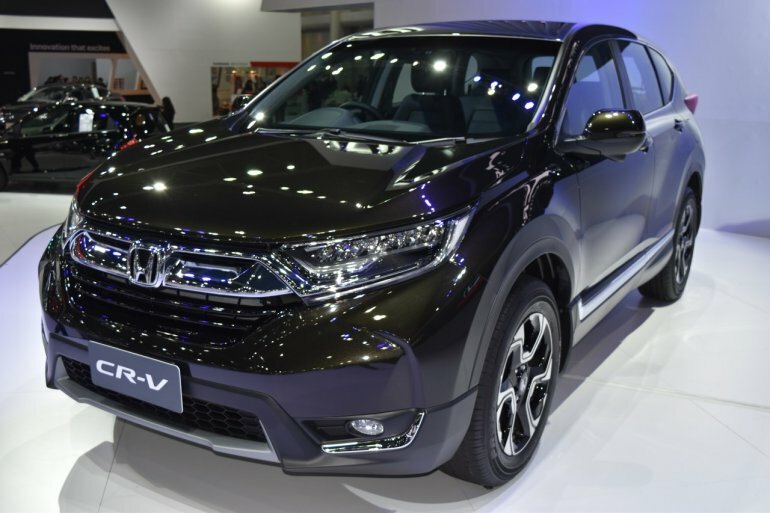 The new CR-V is 5 mm longer, 35 mm wider, 39 mm higher and has a 40 mm longer wheelbase, measuring 4,587 mm in length, 1,855 mm in width, 1,689 mm in height and has a wheelbase of 2,660 mm. Depending on the variant (2WD or AWD), the ground clearance ranges between 198-208 mm. Expect the new CR-V in India in the second half of the year.